The Federal Government has announced plans to use the recovered 322.5 million dollars Abacha loot to fund the Social Investment Scheme. 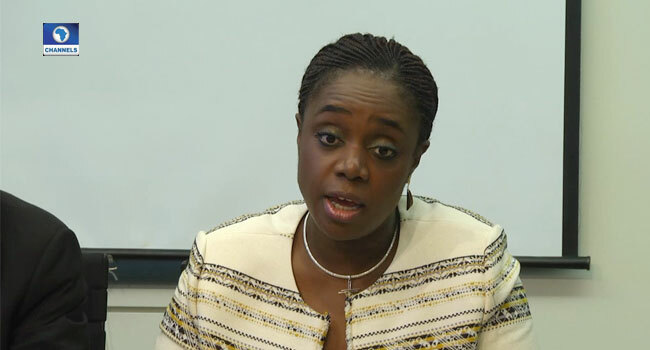 According to the Minister of Finance, Kemi Adeosun, the investment will help address the health and education challenges affecting the poor and vulnerable. The minister who was speaking at a joint news conference with the Central Bank governor, Mr Godwin Emefiele to wrap up events at the spring meeting of the World Bank /IMF in Washington is optimistic that the success recorded in the nation’s economic rating will yield more results in the days ahead. The CBN governor disclosed that the nation’s external reserves now stands at 47.93 billion dollars but warned that the figures will keep fluctuating in the meantime. The Minister had on April 11, 2018, denied controversy surrounding the recovered Abacha loot. “For the avoidance of doubt, there is no controversy concerning the recovery of the Abacha monies from the Swiss Government,” she said. Meanwhile, the Minister who led the Nigerian delegation to the 2018 IMF-World Bank spring meeting, also affirmed that the country’s positive growth outlook would be sustained.